Producers, Connect with your trusted advisors. 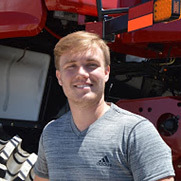 Let your trusted advisors See and Solve your issue so you can have more uptime. Stay ahead of issues with proactive tips from your trusted advisors. 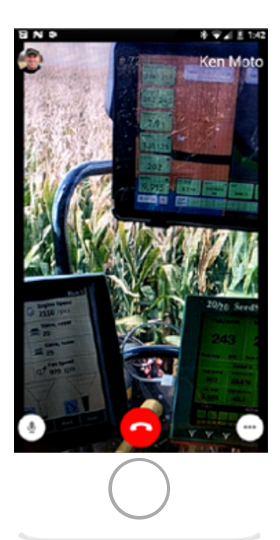 When equipment breaks down or technology glitches, get back up and running faster with “see-what-I-see” support. 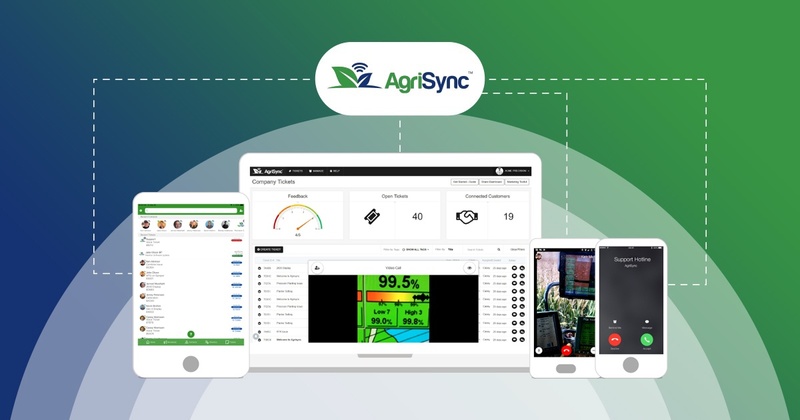 AgriSync® is free for producers. 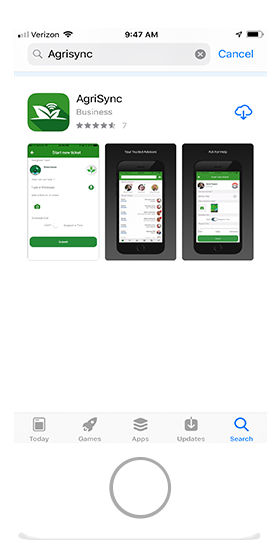 Download the app for free at the App Store or Google Play. Get support tips from your trusted advisors to stay ahead of issues. 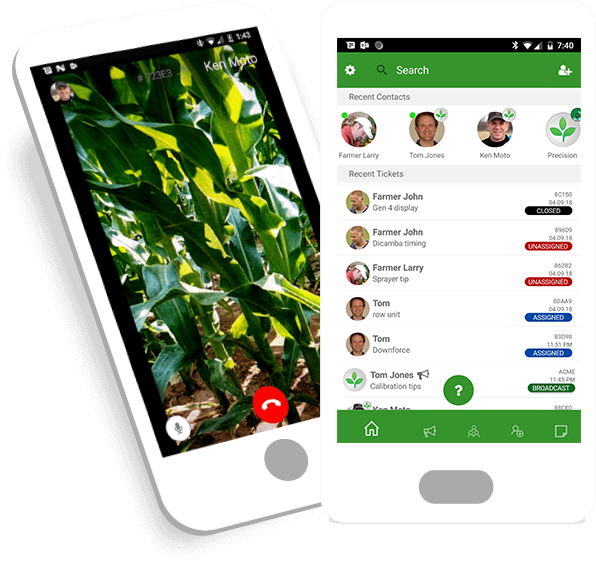 Have your trusted advisors in the palm of your hand. 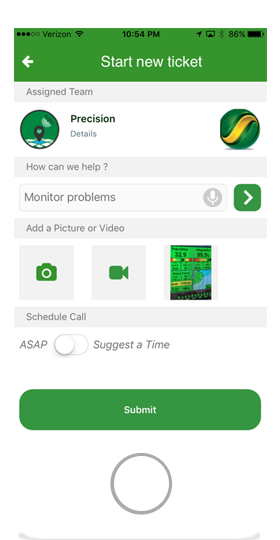 Easily request support from your phone. 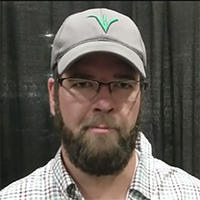 Show your trusted advisors exactly what the issue is with live ‘see-what-I-see’ video. 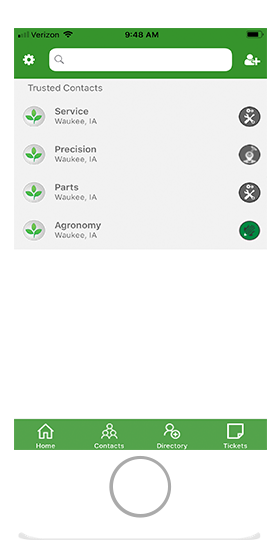 Download AgriSync for free at the App Store or Google Play and sign up for your free account with your cell phone number. 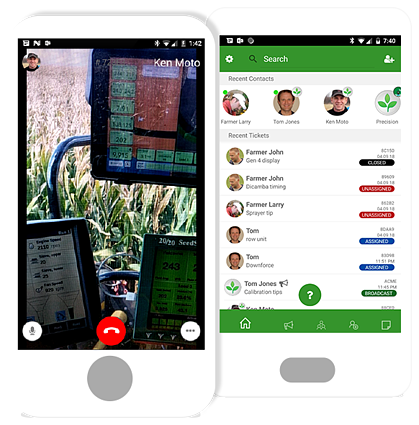 Invite your Trusted Advisors to join you directly from your phone or easily connect with Advisors already using AgriSync. Notice an issue and quickly submit a ticket with a description of the issue, along with a message, photo, or video. 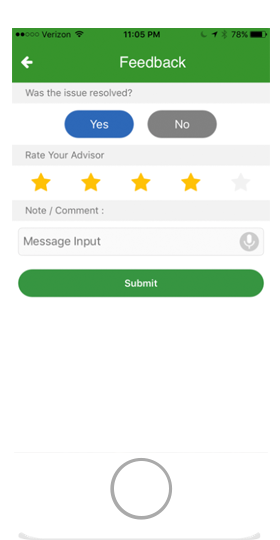 Your Trusted Advisor is notified via text message. Join your Trusted Advisor for a live video conversation where they can see what you see to solve issues quickly. After each session, leave feedback about the quality of service received.. Thanks, we just sent you a text to download the app.